During a safari they always advise you maintain your distance from the wild animals because they can act unexpectedly and might try defending their territory. 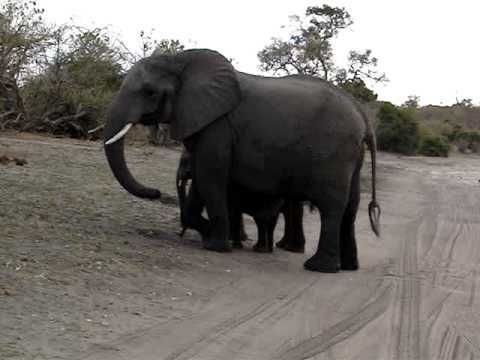 During this wild safari in Africa, a wild heard of elephants crossed their path and were told not to move as it could pose a threat to their territory. The cameras keep rolling and what they captured left everyone in laughter.